8TH DEC. 1915: HOSPITAL SHIP ST DAVID CARRIES SYDNEY ‘BSU’ TO BLIGHTY. 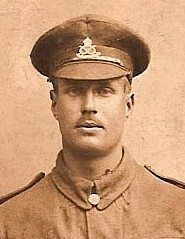 Serjeant SYDNEY HIBBETT: LETTER to Pte BERTIE HIBBETT at the Front. ‘D’ Ward. 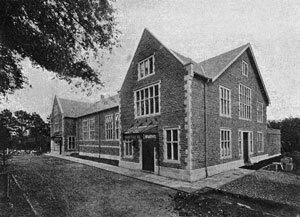 The Red Cross Hospital, Cirencester, Gloucestershire, England. Wed. Dec 8th. How about getting round the authorities now – hey? Here I am in dear old England once again, a fact at which you will no doubt be surprised. It happened like this and I have written home so there is no need to go forwarding this letter on home. Rouen. ‘The Way to Blighty’. 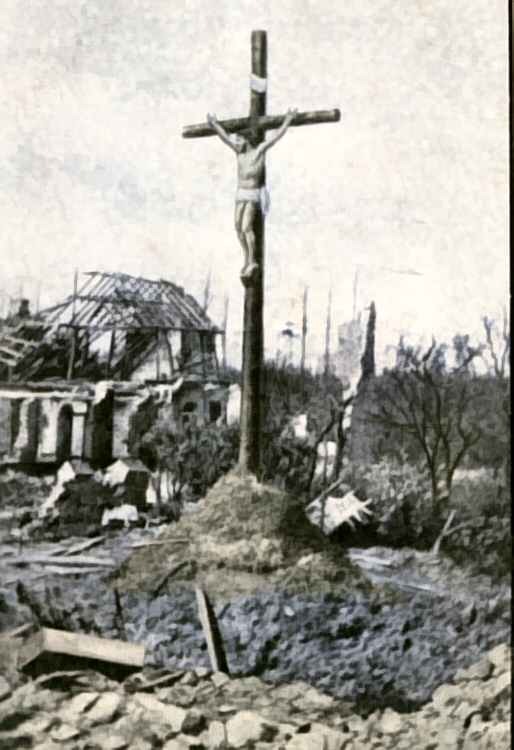 PC to Ida from Bertie Hibbett Oct.1915. Well on Friday last, Dec 3, I went to Communion in the Convalescent Camp. I had been feeling rotten & sick all week and so I asked the doctor to examine me which he did & as I had had a week in the special treatment room & was still no better he sent me to No 6 Gen. Hospital (1) that same afternoon. Compris? Well the Major, who was the M.O. there, confirmed the fact that I had got catarrhal jaundice (2) & so I went on till Saturday night came when he visited me again in the night & said that as I had not got any better during the last fortnight I should be sent to England. So he marked me BSU or ‘Boat Sitting Up’ but I never thought it would come off for some time yet. 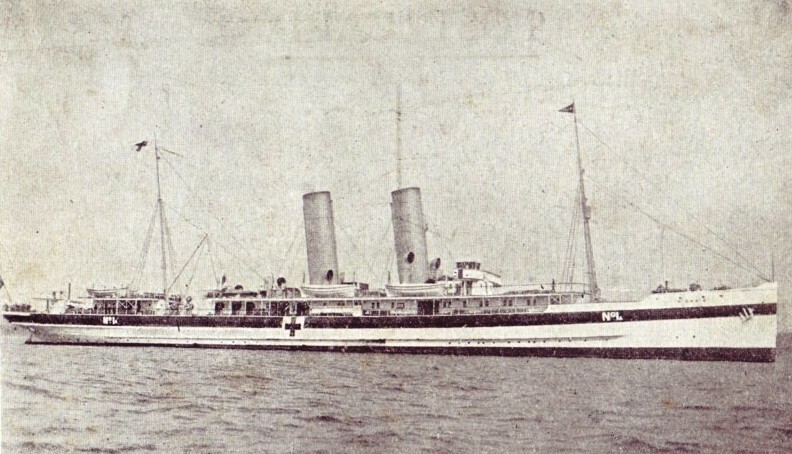 Hospital Ship HMS St David.1915. (Renamed Rosslare in 1932). Next day was Sunday Dec 5th. At 11 am a sudden order came for me, & a few more, to get ready for the boat & our tickets or labels came in & were fastened on our coats & we were carried to the ambulance car. In this fashion we were taken swiftly down to Rouen docks and straight on board the Hospital Ship, St David (3) a large 2 funnelled steamer of the G.W.R. painted white & green with a big red cross in the middle. A large crowd of people watched us & I could see all the river and shipping from my bed near a porthole. There were about 70 patients. We were just near that tall transporter bridge. At 2 pm Sunday we sailed down the river & after a fast passage of 65 miles of the most picturesque and the most stupendous scenery we arrived at Le Havre and anchored at 8 pm. 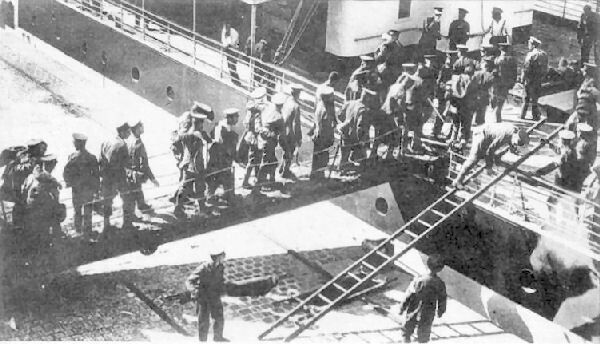 WW1 Wounded soldiers boarding Hospital Ship at Le Havre. We passed a German prisoners’ camp & I saw them all crowd the barbed wire fencing to look at us (4). We had 40 more patients brought on board at Havre but we did not sail till 7 am. Monday morning 6th. It was just daybreak and a regular fierce winter morning too with a driving gale and a very rough sea, worse than at Whitby & the wind rose head on from the NW. 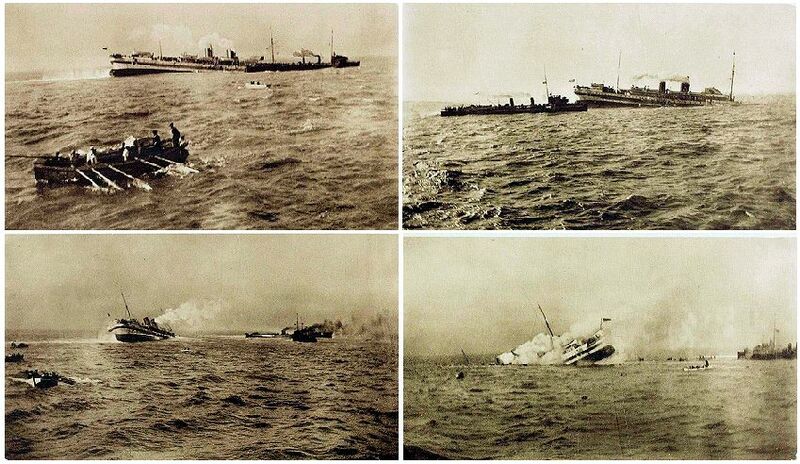 Sinking of Hospital Ship HMS Anglia by mine laid by German U Boat UC-5. Off Le Havre,17th Nov. 1915. As soon as we got clear of the harbour, my! she didn’t half toss & roll. We were all strapped in our cots and the ship rolled from side to side and up and down and very soon I was as sea sick as it was possible to be and I wished I was dead, aye, & that the ship would strike a mine & go down to something firm! I was ill all the way & poor me with jaundice & I soon was as empty as a barrel & still I kept on trying to get my stomach up. At first I enjoyed seeing all the novel strange sights of the limitless sea, the heaving waves & the destroyer far away on one side & a tramp steamer (5) nearer & one could imagine the British fleet keeping watch day & night over such a waste of waters. 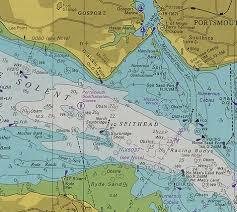 It took us from 7 am till 2.30 pm to reach Southampton & it poured with rain as we arrived in the Spithead, but I did not mind. The boat was docked by two tugs, close to an Italian Red Cross boat just in from the Dardanelles (6). 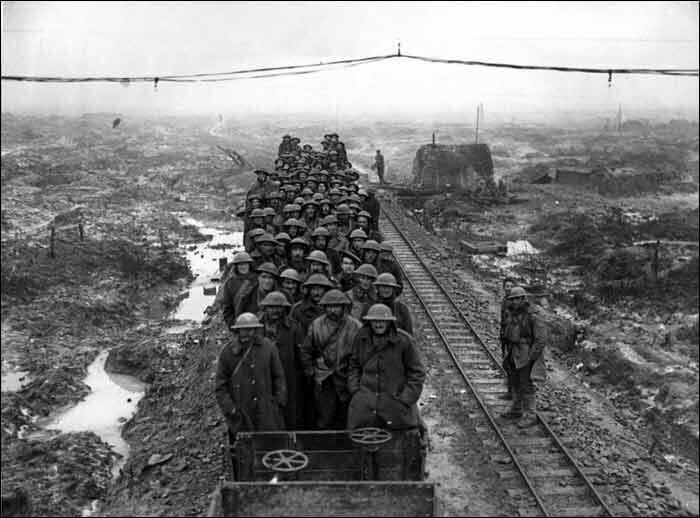 Then we were carried across into the train – you remember the docks when we came over to France last March? It was the same place. Well we left the station in this beautiful Midland Red Cross train and we did not know our destination though. I went to sleep and woke to find the train was stopped at this place, Cirencester (7). The Bingham Hall, Cirencester. UK. Outside the station was a string of private motorcars and into one of these I and two more were put while a crowd of folks cheered us. It was a fine new car with the owner’s chauffeur to drive. We arr. here at the Hosp. at 8.30 pm. It is in a place called The Bingham Hall (8) & we’re very comfortable indeed in this quiet country town in dear old England. I do hope you will get your leave soon, Bertie, old boy. Perhaps Father & Mother will be down here to see me. I want you to let every one know where I am; those I know in the Batt. I mean. I think I shall be here for Xmas. Don’t fail to remember me to Vernon; I hope he too will get his leave soon. I will stop now hoping to hear from you as soon as you have time. Serjeant Sydney Hibbett’s rough crossing took nearly 8 hours from Le Havre to Southampton; the total journey to Cirencester Red Cross Hospital from Rouen took over 2 days, but of course he ‘did not mind’. 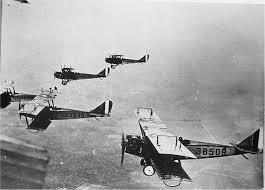 And so it was Sydney not Bertie who was on his way to Blighty for Christmas 1915. (1) No 6 Gen. Hospital B.E.F. Base, Rouen. (2) Catarrhal Jaundice: ‘Campaign Jaundice‘/ ‘Infectious Jaundice (familiar in military campaigns since medieval times). Infection of the liver. Common illness in Gallipoli & Egypt. Today I expect Sydney would be diagnosed with ‘viral hepatitis‘. (6) Cirencester, Cotswolds: where Sydney’s youngest brother, Basil Hibbett, later became Manager of Cooperative Dairy Factory. NEXT POST: 10th Dec. 1915. 'D' Ward Red Cross Hospital Cirencester 1915.Bingham Hall Corencester 1915.BSU 'Boat Sitting Up'Catarrhal Jaundice.Dardanelles.G.W.R Steamer 1915.German Prisoners' Camp Rouen 1915.HMS Britannic Nurses.Hospital Ship H.M.S. St David.Hospital Ship H.M.S.Rewa.Midland Red Cross train 1915.No 6 General Hospital Rouen.Solent Spitshead.Tramp Steamer 1915. 7TH DEC. 1915: A COMMISSION? – OR DHQ ORDERLY ROOM CLERK? BATTALION TRAINING: RUE DES VACHES. 6th Dec. Mon: Platoon and Company Training. 7th Dec. Tue -18th Dec. Sat: Ditto. Since Saturday, we have been very busy & on the move. Your welcome parcel came last night when we were all busy cleaning our equipment for the Gen. Inspection which was this morning. Just returned & this is the first opportunity I have had for answering all you want to know. You have jumped down my throat with regard to the Com: I don’t feel at all eligible for one. Today is Brewin’s* Day; he is supposed to go for a month’s training & is tidying himself up now. As for Serg. Sanger* I believe he goes too about now (1). He will be glad to see you he said to me in the trenches, some weeks ago, & wishes to be remembered to you both. With regard to that vacancy at DHQ’s orderly room clerk, nothing yet has been said (2). I did enjoy Ida’s scones & the cheese. Vernon too said they were very nice. His voice has improved a little, but unfortunately he has now got a sore and swollen foot (3). The general idea in the Batt. 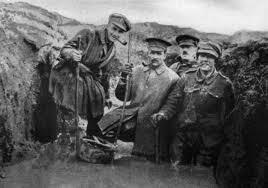 is that we shall not see these trenches in this part of the country again. 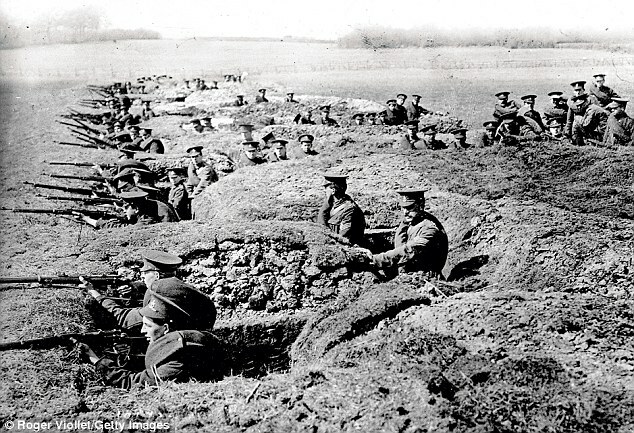 A rather staged photograph of British soldiers holding the line at Neuve Chapelle.1915, but it shows how shallow and unproteced the trenches were in places. I have your letter enclosed in the parcel for reference & am answering each question as I read on. 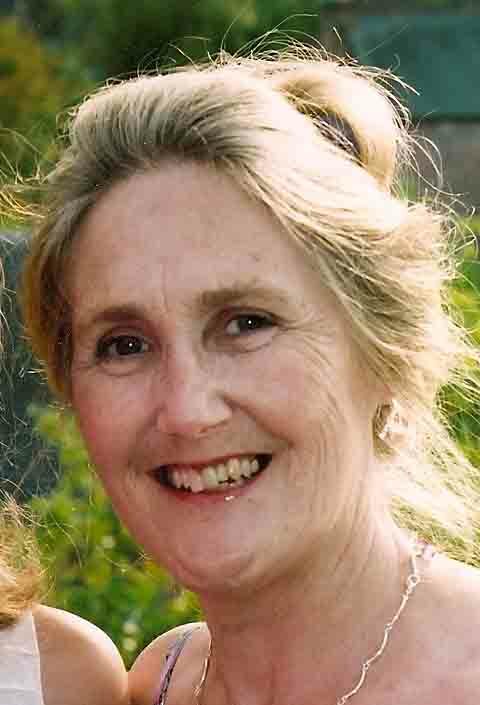 I am hoping to see you, by the way matters are shaping out, I hope to be Home by the end of Jan/16. (4). I do not see Allen*much because the billets are so far between (5) . I do not know Sydney’s address for certain at present. 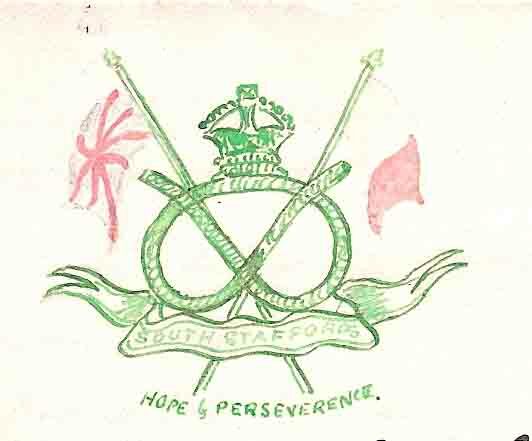 His last letter was Z Company, 5th South Staffs Con. 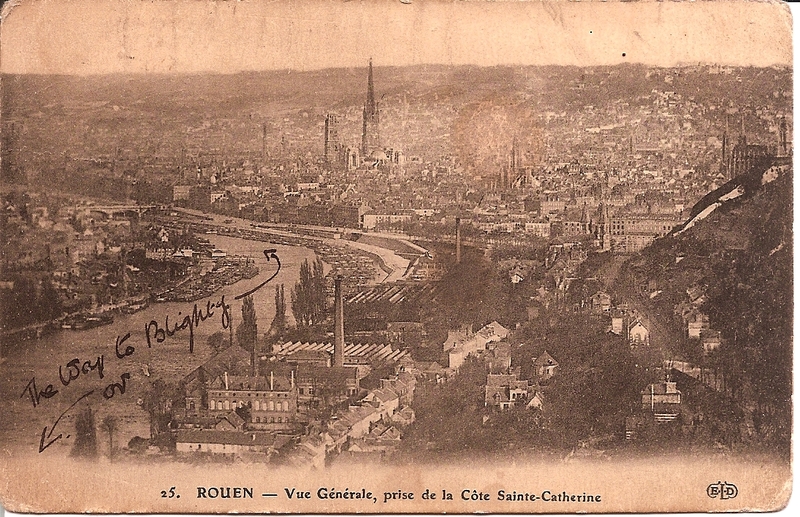 Camp Rouen. I sent him an FPC & had it returned. I wish he was with me as far as advice with regard to the Com. I shall not need any more Porridge in future parcels as I told you before. I thought we should be in the trenches by now for we all understood we were in that part of the line till Dec. 27. I have arranged with the cooks to make me some porridge for tonight – so twill be all very well. I meant to tell you before that the parcels came with the tag attached, good idea. Pte Bertie has reservations about applying for a Commission as a ‘Temporary Officer’. He was ‘eligible’ in that he had attended QMS, a minor public school and had been four years in its O.T.C. but it was not in my father’s nature to push himself forward. That he did not feel ‘at all eligible‘ may indicate his lack of confidence in his health & physical strength at this time. He would have appreciated the privileges & better accommodation enjoyed by officers – and he knew that was what his parents wanted for him. 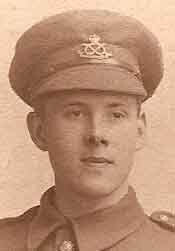 On the other hand he must have been aware, as perhaps his parents were not, that the average life of a Junior Officer at the Front was very short, a matter of a few weeks. (1) Officer Training for A.E. Brown* (Brewin, QMS) and Sanger*: one month at Sandhurst would mean a chance of Home Leave. cf Letter 5th Dec.
(2) Divisional Head Quarters Orderly Room Clerk would involve administration of divisional orders & discipline/ more of a desk job with lots of paper work. More suitable for Pte Bertie with his poor feet, than a commission? 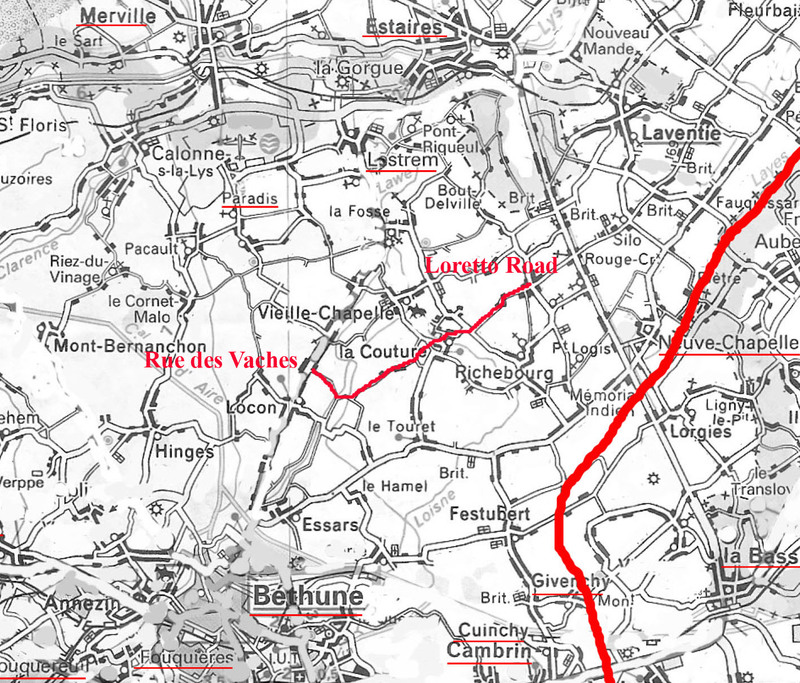 (3) Pte Vernon Evans’ feet were worse after a gruelling 6 hours trudge over 6 miles of rough waterlogged ground to Rue des Vaches. (Thankfully neither he nor Pte Bertie had feet quite as bad as they might have been according to some on-line images!). See previous Letter 5th Dec.1915. (4) Eastern Front Rumours? 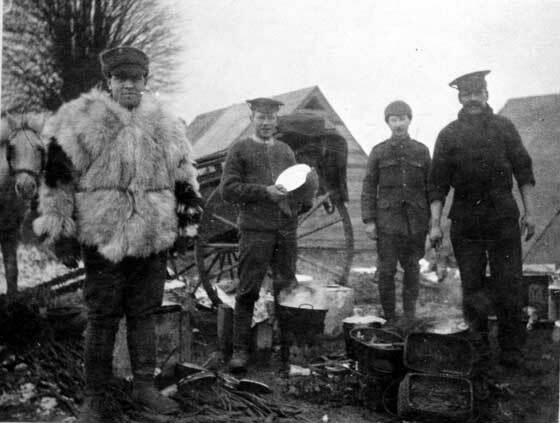 Pte Bertie hints that 1/5th Staffords could be on their way to warmer climes where Home gifts of porridge & warm clothes might not be needed. (5) Serjeant Herbert Allen* QMS friend of Sydneys? (2nd Lieut H. Allen. Killed in Action, Gommecourt/ Fonquevillers: 1st July 1916. 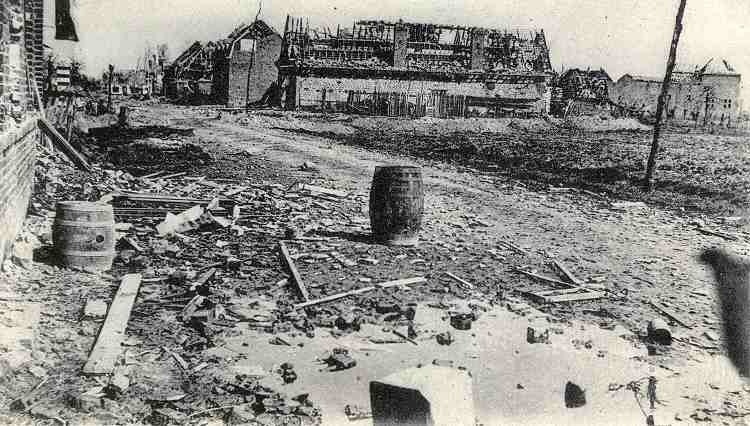 Battle of Somme). NEXT POST: 8th Dec. 1915. Serjeant Sydney’s whereabouts revealed. 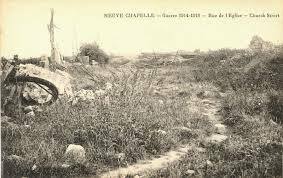 Church Street Neuve Chapelle 1915.Commissions/'Temporary Officers'.DHQ Orderly Room Clerk.Food Parcels 1915O.T.C.Temporary Officer Training Sandhurst 1915.Training for Eastern Front.Waterlogged trenches 1915.